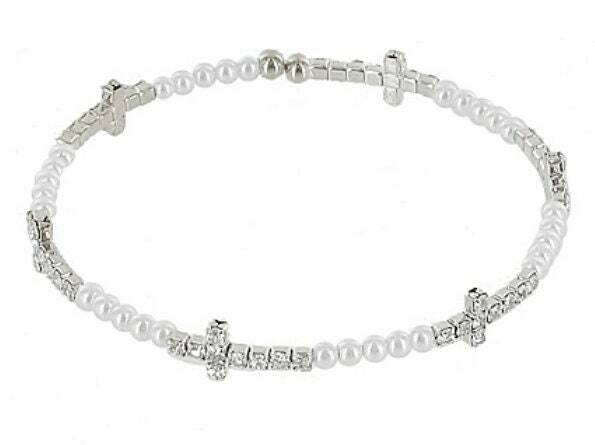 Petite Silver Rhinestone and Pearlescent Cuff Cross Bangle Bracelet. Split Cuff makes it east to get on! Pearlescent and Silver colors. Each Rhinestone Cross only measures 3/8" x 5/8". Pearlescent are only 1/8" wide. Super elegant, Super petite! Bracelet measures 6 1/2". Cuff Bracelet stretches to fit.